Dental anxiety is real. Unfortunately, this kind of stress and worry can cause some patients to skip their appointments altogether, which can result in long-term oral health issues. Fortunately, sedation dentistry makes it possible for patients to relax during treatment. At our Hartford, CT practice, Dr. Steven M. Balloch and our team believe that going to the dentist doesn’t have to be nerve-wracking. In fact, with the right treatment, it can actually be a pleasant experience. Read on to learn more about IV sedation dentistry candidates. There are a few different sedation options available when receiving treatment at a dental office, including nitrous oxide and oral sedation. However, IV sedation is the most predictable method for inducing relaxation and alleviating anxiety. During IV sedation, anti-anxiety medications are administered via your bloodstream. Because the doctor has direct access to your veins through a port in your arm, the drugs can be adjusted at any point during the procedure, increasing or decreasing the dosage as necessary. In addition to dental anxiety, there are several other reasons patients can benefit from IV sedation. If you have a strong gag reflex, chances are you become distressed when undergoing dental procedures, such as x-rays or cleanings. IV sedation can relax your throat muscles, and help you feel more comfortable during treatment. Patients who are undergoing several treatments during a lengthy appointment can certainly benefit from IV sedation. Aside from multiple hours in a dental chair, it can be challenging to hold your mouth open for extended periods of time. As you can imagine, this can be physically and emotionally taxing. Patients who choose IV sedation can complete even the most advanced treatments with ease and comfort. 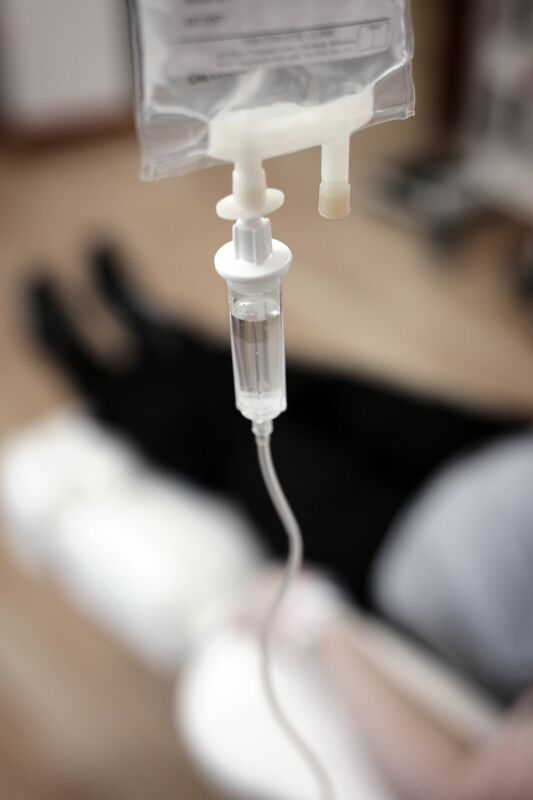 IV sedation is especially helpful for patients living with health conditions that affect movement, such as Parkinson’s disease and cerebral palsy. When treated under IV sedation, these patients can remain still during treatment and receive safe dental care. Who Is Not a Candidate for IV Sedation? Of course, the only way to know for sure if you are a candidate for IV sedation is to schedule a consultation with Dr. Balloch. During your visit, he will discuss your medical history with you at length to determine if there are any contraindications. Even if you have a condition that is listed above, you may still be eligible for IV sedation. We can develop a safe and effective treatment plan. If you suffer from dental anxiety or simply want to be more relaxed during your treatment, then IV sedation could be the solution for you. To schedule an appointment with Dr. Balloch, contact us online or call our office at (860) 659-8660.